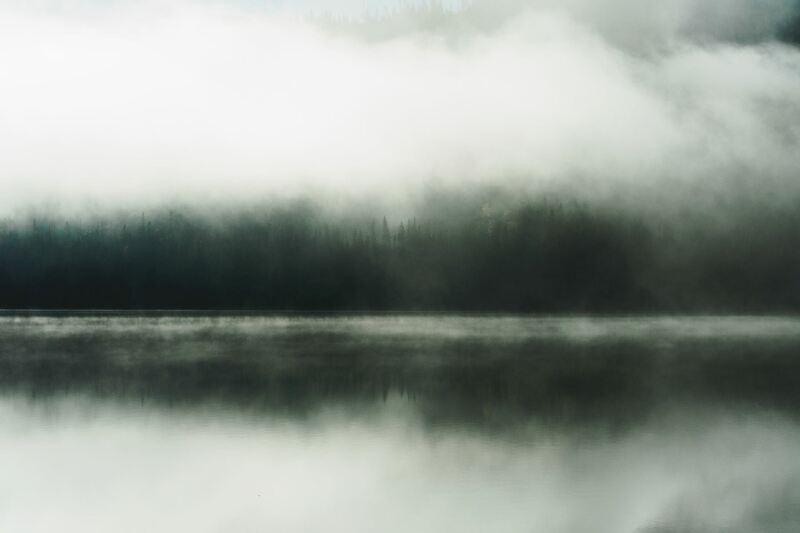 A beautiful print of a forrest by a lake, with so much fog that the picture looks like a painting. The tree reflecting in the lake create a mystical feel. A gorgeous poster that makes you look twice.